One of the best ways to achieve a financially secure retirement is to start investing and saving early in your work career. The real value in getting an early start is the power of compound interest, which can help you grow tremendous wealth over a long period of time. The earlier you start saving, the better off you will be in the long run. For millennials, it is also important to think about the location of your savings and investments because the government offers a variety of tax benefits to encourage savings. Perhaps the most popular tax-advantaged retirement savings vehicle in existence is the individual retirement account, or, IRA. Here are some practical steps for millennials who want to start investing in an IRA. One of the first decisions that anyone should make with regard to saving in an IRA is to select the tax advantage of your IRA. A Roth IRA is often the best IRA for young savers because it represents after-tax savings, and the growth is tax-free as long as certain requirements are met at the time of distribution. This is beneficial for a young investor because early in your career when you are not earning very much, your tax rate is lower than it will be later on when your income starts to grow. It makes sense to pay taxes earlier at a lower rate, rather than later at a higher rate. 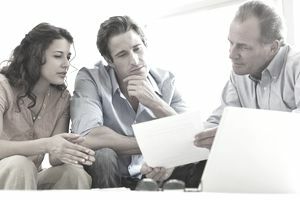 On the other hand, contributions to a Traditional IRA are tax-deductible in most cases and investment returns are tax-deferred, but you pay ordinary income taxes on withdrawals. While the tax deduction you get from an IRA is more of a sure thing because you get the benefit immediately, there are some other benefits that favor a Roth over a Traditional IRA for young savers. Roth IRAs give you better access to your money without concern about penalty taxes. With a Roth IRA, you can withdrawal your contributions at any time income tax-free and penalty tax- free. With a Traditional IRA, however, once you put money in, if you withdraw it prior to age 59.5, you could be subject to both ordinary income tax and a 10 percent penalty tax under Code section 72(t), unless you meet specific exceptions to the rule. If you are looking for tax-advantaged savings as well as access to your money, consider investing in a Roth IRA in those years when your tax brackets are low. Are you or your spouse an active participant in an employer-sponsored retirement plan like a 401(k)? If you are single and not an active participant in a plan, there is no upper limit on income for deducting an IRA contribution. However, if you are an active participant in a plan, your deductible contribution could be limited based on your income levels. If you are single and an active participant, your deductible IRA phase-out range in 2019 is $64,000 to $74,000; if you are married filing jointly, the phase-out range is $103,000 to $123,000. If you are not an active participant in a plan but your spouse is, the phase-out range is $193,000 to $203,000. Your deduction phases out as your income falls into the ranges. Above those ranges, you cannot make a deductible contribution. You can still make an IRA contribution, but it will not be tax deductible. Lastly, a Roth IRA contribution is always after-tax and contributions are not dependent on whether you are an active participant. Instead, the limit on contributions is determined by adjusted gross income. If you are a single filer or a head of household, your Roth contribution phase-out range in 2019 is $122,000 to $137,000; if you are married filing jointly, your phase-out range is $193,000 to $203,000. For young workers, saving money in a tax-advantaged manner is just the beginning. In addition, young individuals need to invest those savings wisely for maximum impact. This means taking on some market risk. While you might be concerned about the ups and downs of the stock market from a daily, weekly, or yearly perspective, keep in mind that stocks tend to perform well over time. When you are young and have a long-time horizon for investing, you should be taking on more investment risk to get a better long-term return. This also means adopting a strategy that allows you to invest and leave your money alone. Do not overreact to near-term market downturns or volatility; instead, keep saving and investing each and every year. If you feel uncomfortable selecting your own investments, work with an investment professional, use target-date mutual funds or low-cost indexed mutual funds. Ask about commissions and fees when choosing an investment because those costs can erode your returns over time if you are not careful. If you want a financially secure future, you need to save money and invest it with your future goals in mind. Take advantage of the tax benefits the government has provided with IRAs and Roth IRAs by utilizing these savings vehicles. Look at your current situation and figure out if you need a tax deduction today, or if Roth’s long-term benefits are better for your situation. And don’t forget to invest, not just to save, but to put your money to work for you so that your money can grow year after year.